Click on any of the events below for more information. We are excited to have you join us for a weekend of fishing and rejuvenation in our beautiful up north setting! 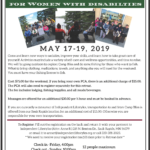 This retreat welcomes anyone with any type of disability. Cost: $75.00 for the weekend, if you bring your own PCA, there is an additional charge of $35.00. 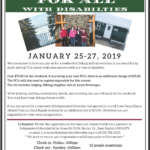 The PCA will also need to register separately for this retreat. 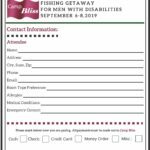 The fee includes: lodging, fishing/supplies, and all meals/beverages. What to bring: clothing, medications, towels, and anything else you will need for the weekend. 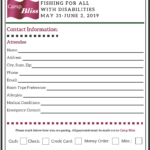 You must have your fishing license to fish. responsible for your own transportation. 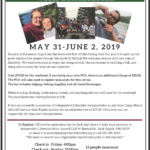 To Register: Fill out the registration on the back and return it with your payment to Independent Lifestyles (Attn: Anne R.) 215 N. Benton Dr., Sauk Rapids, MN 56379 or email it to anner@independentlifestyles.org or call 320-281-2023. We need to receive your registration ten (10) days prior to Retreat date. 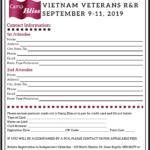 Vietnam Veterans will be welcomed into the serene and supportive setting of Camp Bliss! 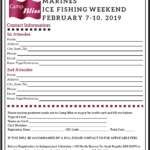 We are excited to have you join us for a weekend of fishing and rejuvenation in our beautiful up north setting. 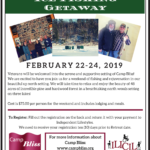 We will take time to relax and enjoy the beauty of 48 acres of incredible pine and hardwood forest in a breathtaking north woods setting on three lakes! We appreciate the women who have served our country! 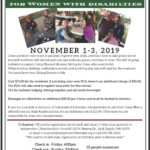 Join us to relax, reflect, rejuvenate, and connect with other female Veterans. Get the special treatment you deserve. Enjoy the beauty of the north woods, learn new ways to unwind, and how to enhance your self-care. Massages are offered for an additional $30.00 per ½ hour or $60.00 per 1 hour and must be booked in advance. In today’s busy world, it’s important that mothers and daughters take the time to build their relationships, communicate, and have fun together! 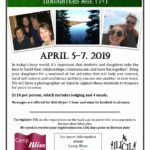 Bring your daughters for a weekend of fun activities that will help you connect, build self-esteem and confidence and help you see one another in new ways. We will have a photographer on hand to capture these moments to treasure for years to come. $110 per person, which includes lodging and 4 meals. Massages are offered for an additional $60.00 per 1 hour and must be booked in advance. 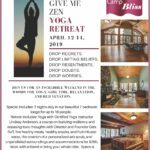 JOIN US FOR AN INCREDIBLE WEEKEND IN THE WOODS FOR YOGA, GIRL TIME, RELAXATION, AND REJUVENATION. Special includes: 2 nights stay in our beautiful 7 bedroom lodge for up to 16 people. Retreat includes: Yoga with Certified Yoga Instructor Lindsay Anderson, a course on building resiliency and releasing toxic thoughts with Director and Founder Cara Ruff, five healthy meals, healthy snacks, and fruit infused water, the creation of a personalized salt scrub, and unparalleled surroundings and accommodations for $280. Book with a friend or bring your whole tribe. Space is limited to 16. Call us now to save your place! Come and learn new ways to socialize, improve your skills, and learn how to take great care of yourself! 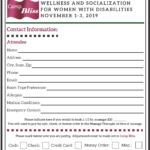 Activities may include a variety of self-care and wellness opportunities, and time to relax. 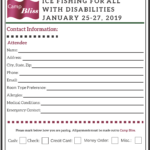 We will be going outdoors to explore Camp Bliss and do some fishing for those who want to fish. Cost: $75.00 for the weekend. If you bring your own PCA, there is an additional charge of $35.00. The PCA will also need to register separately for this retreat. Massages are offered for an additional $30.00 per ½ hour and must be booked in advance. 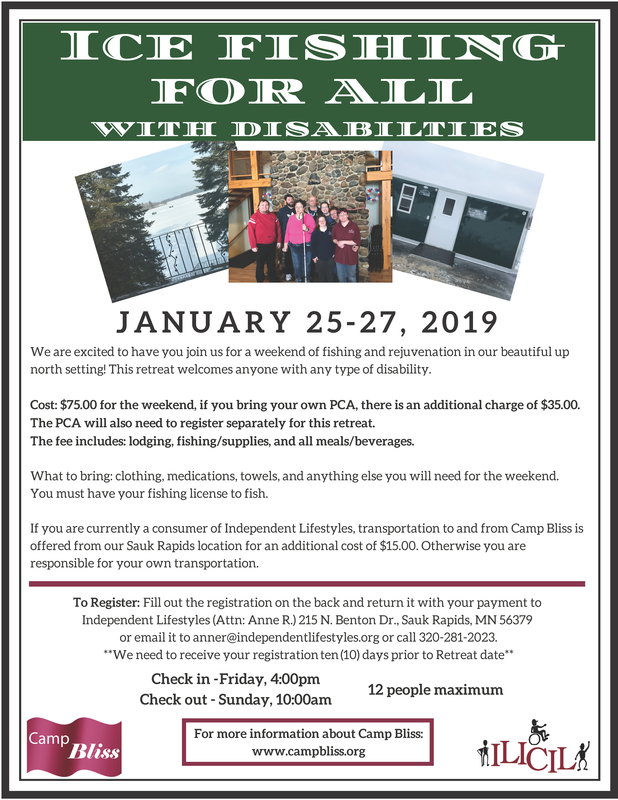 If you are currently a consumer of Independent Lifestyles, transportation to and from Camp Bliss is offered from our Sauk Rapids location for an additional cost of $15.00. Otherwise you are responsible for your own transportation. Summer is the season to pull out the boats and dust off the fishing rods! Our goal is to open up the great outdoors for people through the world of fishing! We welcome anyone with any type of disability. We want everyone to enjoy just being outside, the excitement of catching a fish, and being able to enjoy the fresh air and sunshine. Cost: $75.00 for the weekend, if you bring your own PCA, there is an additional charge of $35.00. 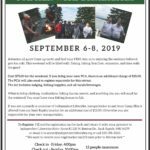 The PCA will also need to register separately for this retreat. Attention all guys! Come up north and find your FISH! Join us in enjoying the outdoors before it gets too cold. This weekend will be filled with fishing, hiking, bon fires, relaxation, and time with the guys! 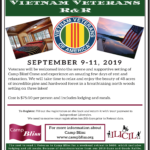 Vietnam Veterans will be welcomed into the serene and supportive setting of Camp Bliss! Come and experience an amazing few days of rest and relaxation. 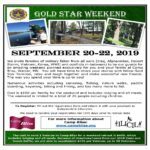 We will take time to relax and enjoy the beauty of 48 acres of incredible pine and hardwood forest in a breathtaking north woods setting on three lakes! 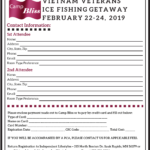 Cost is $75.00 per person and includes lodging and meals. 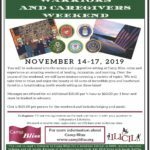 We invite families of military fallen from all wars (Iraq, Afghanistan, Desert Storm, Vietnam, Korea, WWII and conflicts in-between) to be our guests for an amazing weekend planned exclusively for you and your family at Camp Bliss, Walker, MN. 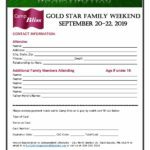 You will have time to share your stories with fellow Gold Star Families, relax and laugh together and make wonderful new friends. The way you spend your time is up to you! Numerous activities including canoeing, fishing, nature walks, paddle boarding, kayaking, biking and hiking, and too many more to list. Cost is $100 per family for the weekend and includes lodging and all meals. The weekend is limited to a total of 25 people including children. 26. Beretta A 300 Outlander Syn. 12 ga.
77. Beretta A 300 Outlander Syn. 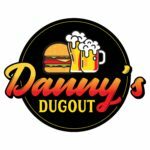 12 ga.
Steak Dinner ($13), meat raffles and 50/50 raffles will start at 4:30 pm, the drawing will start at 7:30 pm, Sauk Rapids VFW: 901 North Benton Drive, Sauk Rapids, MN, 56379. Vouchers will be available on site. Raffle Tickets limited to 2000 – $40 per ticket. A winning ticket will not be returned to the drawing; one chance to win per ticket. The winner will be issued a voucher for the awarded gun. The voucher can be used to purchase the awarded gun or a gift card will be issued by Scheels which can be used as store credit on any merchandise. Gift cards may also be used online. Gift cards valid only at Scheels Store, 40 North Waite Avenue, Waite Park, MN. 56387. All winners will be notified of the gun they have won and will receive a voucher. Winner must then present this voucher and their driver’s license to the gun department at Scheels in Waite Park, MN. Each winner will then be issued his or her gun or gift card. The winner is responsible for all applicable fees and/or taxes. Must be 18 years of age to purchase a ticket or win a prize. Must be 18 years of age to obtain rifles and shotguns, and 21 years of age to receive handguns. Permit to purchase in the State of Minnesota is required to receive handguns and AR style rifles. Must pass all applicable background checks to obtain guns. If a winner fails the background check, they may still use the gift card for merchandise other than guns. We appreciate the women who have served our country! 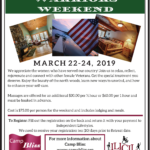 Join us to relax, reflect, rejuvenate and connect with other female Veterans. Get the special treatment you deserve. Enjoy the beauty of the north woods, learn new ways to unwind, and how to enhance your self-care. Come and learn new ways to socialize, improve your skills, and learn how to take great care of yourself! Activities will include self-care and wellness, games, and time to relax. 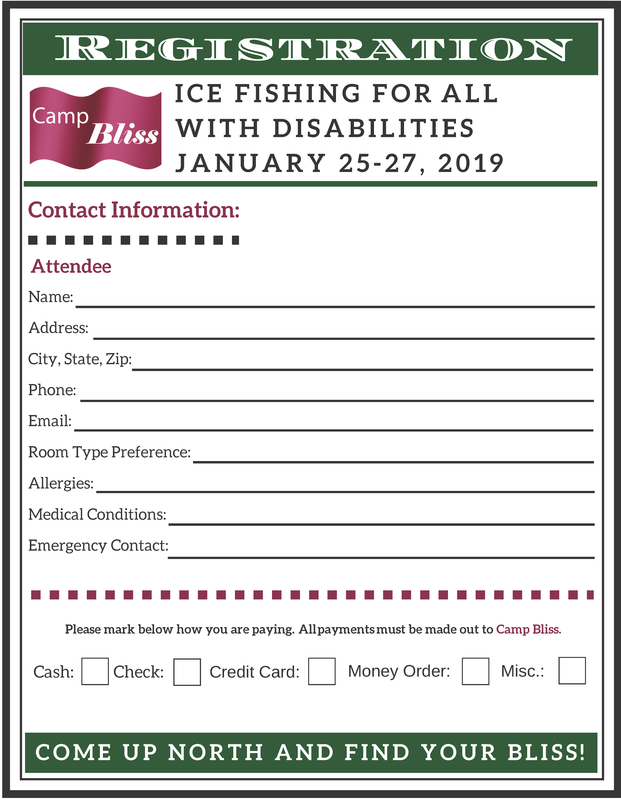 We will be going outdoors to explore Camp Bliss and do some fishing for those who want to fish. Warriors and Caregivers will be welcomed into the serene and supportive setting at Camp Bliss. 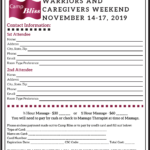 Come and experience an amazing weekend of healing, relaxation, and learning. Over the course of the weekend, we will have sessions covering a variety of topics. 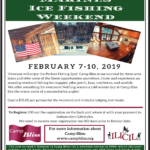 We will take time to relax and enjoy the beauty of 48 acres of incredible pine and hardwood forest in a breathtaking north woods setting on three lakes! Cost is $125.00 per person for the weekend and includes lodging and meals.